Tracy Evans, a physician assistant, has treated rebel guerrillas while captive on an Asian island. She's sipped tea in a Mozambican hut while bullets whistled through the grass walls. She's cared for 900 HIV-positive orphans. 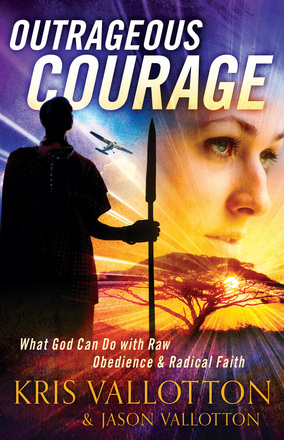 In these pages you will find not only gripping, un-embellished true stories of Tracy's exploits around the globe, but the more amazing account of what God can do with--and through--one person's raw faith and obedience. Tracy's life has had an unbelievable impact on us, our families and our friends. We pray that you, too, will be inspired to radical obedience, faith adventures and wild trust in God’s power and purpose for your life. I have always been intrigued by Africa. I grew up as a missionary kid in Brazil, but after reading the Mary Slessor story as a child, I wanted to go to Africa. Maybe that is why this book vied for my attention. Tracy, in my eyes, is a type of modern day Mary Slessor, although she served in several other countries also. She has courage and determination. She is not afraid to share Jesus! She inspires me and challenges me, to be bolder in my Christian walk right here in my home town! This book leans a bit towards charismatic, which I am not, but it does not change the fact that, when we are sold out to God and in obedience to what He calls us to do, we can do anything He asks! I know my God has power to save, protect, and much more! Would that we had more heroes in our lives like Tracy! The authors are a father and son team. Father: Kris Vallotton is the senior associate leader at Bethel Church in Redding, California, where he has served with Bill Johnson for three decades. He has written several books. Son: Jason Vallotton is coauthor. Jason currently serves on the board of Moral Revolution and is a sought-after counselor and speaker. This book is available online from Amazon and Chosen books. What missionary story has inspired you? One missionary stoy that truly inspires me is the story of Jim Elliot. His passion for God and for reaching the "uncivilized" tribes in the amazon is admirable. He was so courageous and died for the sake of Christ. I love reading stories about real life especially missionary ones.